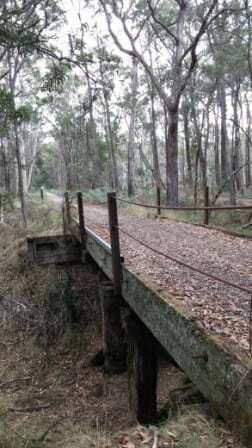 The Domino Trail is a rail trail that follows the route of the original railway line that travelled between Daylesford and Carlsruhe. 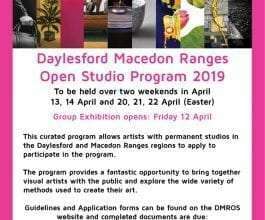 The 6km one way journey takes you through the beautiful Wombat State Forest that was once under threat from miners and loggers. Discover the history and ecology of this area from the interpretive boards along the trail. This walk will take approximately 3 hours to complete the return journey. Why not stop off at either end of the trail and have a bite to eat before the journey back to your starting point. 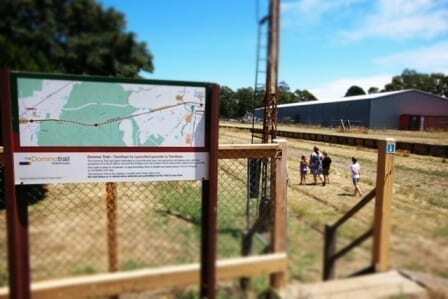 Collect a map from the Trentham Visitor Information Centre. 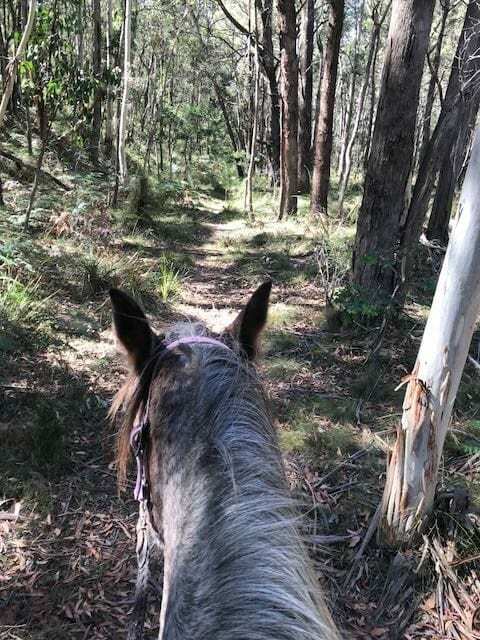 This is a magical experience, chosen for the beauty of the Wombat Forest and the sensational trails that are perfect for trail riding. 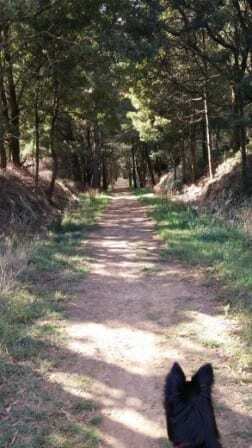 The sense of peace that imbues this special area is incredible. 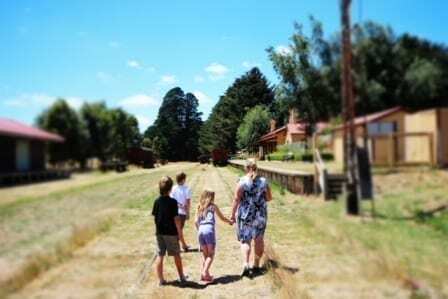 When you finish you are a short walk or 2-minute drive away from Trentham and all this quaint town has to offer. This is much more than a trail ride. 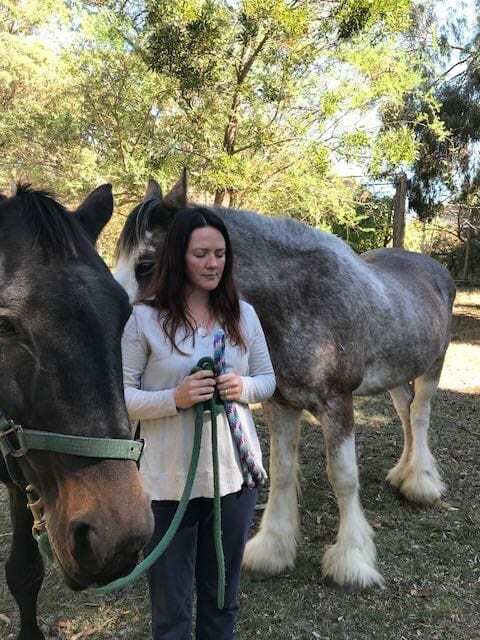 We can incorporate many of the aspects that are usually covered in the equine & healing sessions that I offer as Heart of the Horse. 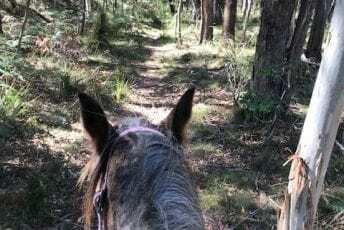 It is a personal empowerment session with a difference - on horseback. 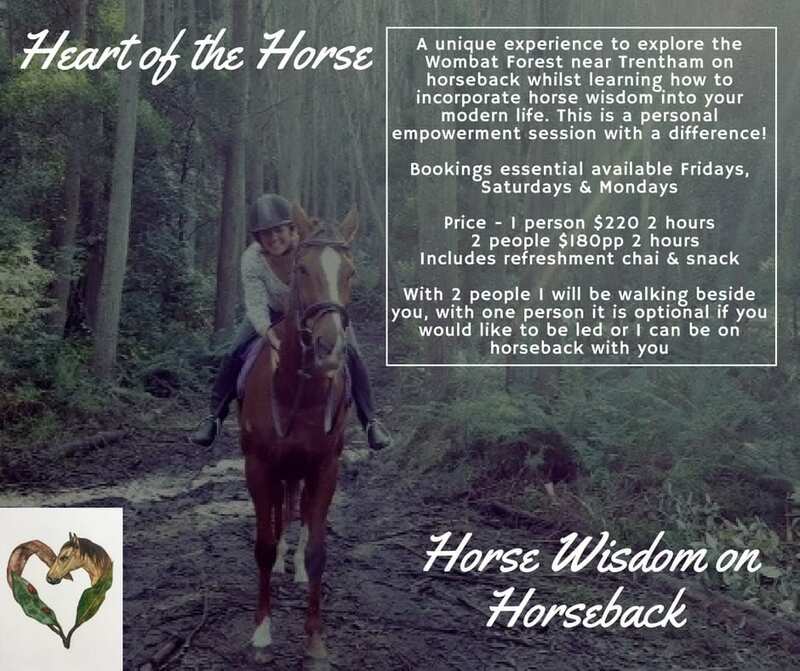 If you would prefer being with the horses without actually riding, please see website for healing sessions with horses located in Woodend. Want to feel the power and magnificence of being on horseback. 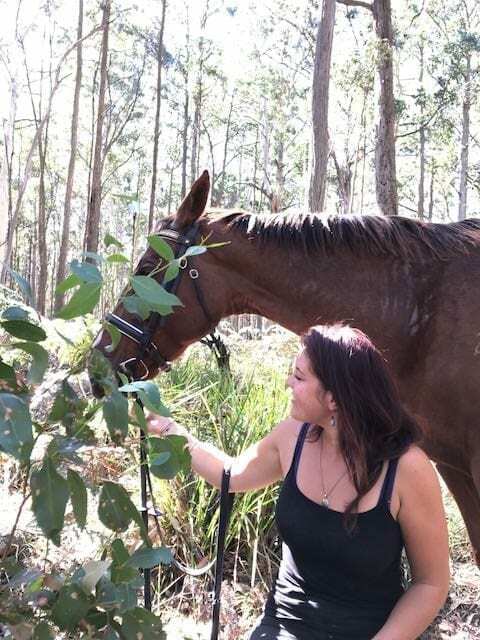 Interested in how horse wisdom can be incorporated into your modern life. Enjoy the nourishment of being in nature connecting with these magnificent animals.